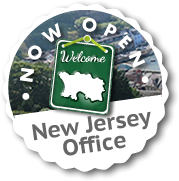 With an additional Jersey Office now open, 1st-Surface Ltd are delighted to be able to offer the Island our professional experience, skills and expertise, however large or small the contract. We can advise you on all aspects of tennis court works, multi-use areas and sports surfaces and can provide you with references for our clients in the Channel Islands. Please view our main UK website for all the services that we offer.